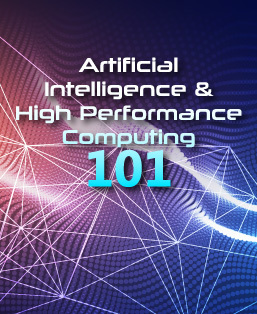 Artificial Intelligence (AI) and High Performance Computing (HPC) have become the biggest buzzwords these days. But how exactly do they impact your business? Join us at this seminar that brings together government and industry experts for this exciting discussion! Artificial Intelligence (AI) and High Performance Computing (HPC) have become the biggest buzzwords these days. But how exactly do they impact your business? These technologies are real and revolutionary. They are already disrupting many industries. As a business leader, you can’t ignore this. This seminar brings together government and industry experts to shed light on what exactly AI & HPC are about, related governance and ethics, and support ecosystem for businesses. Join us to discover what AI & HPC can do for your business today, and the possibilities it presents for the future! 1) Kindly log in / create new account in this website via the top right corner log in box. 3) Click on 'register myself' button to register. 5) Complete the registration by clicking 'check-out with Paypal'. 6) You will be directed to paypal payment gateway. Select 'Pay with Credit or Debit Card option'. 8) You will receive an email notification for this registration. Please reach out to Wan Xin at wanxin@sgtech.org.sg for queries and sponsorship opportunities.